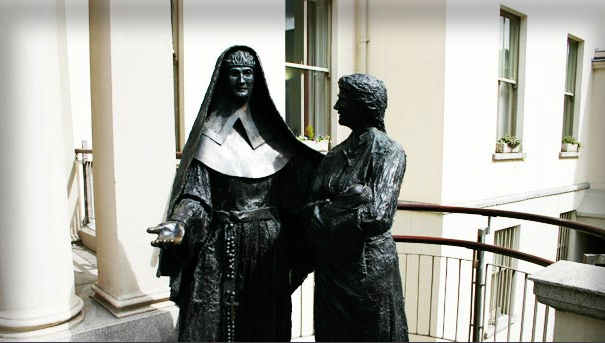 Catherine McCauley’s concept of ‘mercy’ was not one of condescending consolation, but one which built people up through education and health care and fulfilled them through the knowledge that they are loved by God, according to Archbishop Diarmuid Martin of Dublin. He was speaking on the second day of celebrations for the Mercy International Association. 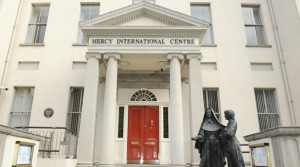 Twenty years ago, the house at 64a Lower Baggot Street where Catherine McCauley founded the Mercy, opened as a heritage house and home for the Sisters of Mercy worldwide. 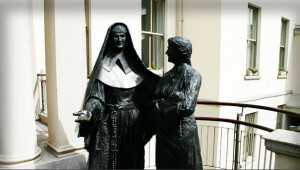 In order to facilitate this, the Mercy International Association (MIA) was formed. Celebrations for the 20th anniversary started on Tuesday 23 September with a welcome reception and formal opening event at the MIA chapel. The event was streamed live on the internet to thousands of the Mercy family and friends and associates globally. The opening was “a great start to a great week” according to Sisters who joined in online from Ireland, Aotearoa, Newfoundland and South Africa and responded online. The week involves a celebration of the past and present as well as a looking ahead for the future. On Wednesday 24 September, Mercy Day was celebrated with a special Mass in St Mary’s Church, Haddington Road with Archbishop Diarmuid Martin. On Thursday 25 September, President Michael D. Higgins addresses the gathering on the theme of Mercy around the World with Ambassadors from member areas attending. On Friday 26 September, the theme of Sustainable Development & Opposing Human Trafficking is addressed while the next day will involves a discussion on Shaping Mercy into the Future. There is also the Face of Mercy Today exhibition on display at MIA Baggot street premises until 6 October, for anyone wishing to visit.